TRAIN AND GET RIPPED WITH JORDAN! TRAIN aND GROW WITH jORDAN! THE ULTIMATE TRAINING IS BACK ONCE AGAIN WITH LIMITED TIME ONLY! We have now closed registration until further noticed to best support our current customers. If you want to be part of our waiting list and be notified should we decide to open up asap, please leave your email below. THE ULTIMATE TRAINING IS BACK! until further notice to best support our current MEMBERS. I’m a fitness celebrity, certified personal trainer, drug free fitness/cover model, and a full time dad. My fitness videos, advice and knowledge have benefited over 1.5 million subscribers on YouTube (with over 100+ million views) and over 4 million followers on Facebook. I’m releasing my life’s work in fitness knowledge, training and nutrition that helped me to achieve today's physique. If you are serious to transform your body, building extra pounds of lean muscles, and getting rid of stubborn fat then pay close attention. The Iron Mastery is the complete resistance training and fitness coaching program designed for beginners to get started in the gym and for the intermediate and advanced to level up their fitness results. 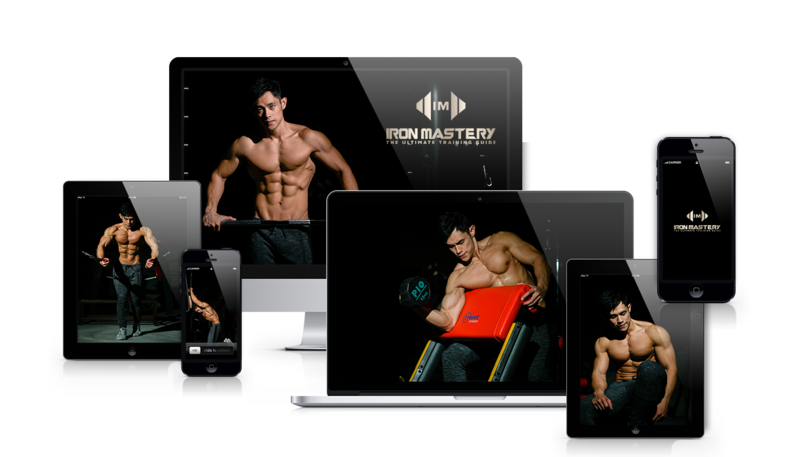 In the Iron Mastery you will get full access to over a decade of knowledge and results in training routines, exercise guides, nutrition, and recipes, all shared exclusively with you weekly in a single web app. YOU MUST HAVE A STRONG FOUNDATION! This means having the right mindset, eating right and most important of all, training correctly. Not only do you prevent serious injuries, you also get more confident and consistent with your workout. Results comes way faster when you train right and train safely! If you’re new in working out at the gym or you’re just starting out in your fitness journey, you may not know exactly what to do, what to eat and where to start. Worse, you’re not new to the gym but you’ve been doing it wrong all this time. What information can you trust? Even then, you’re hopeful. You hit the gym and give it a try anyway. Even then, you’re not quite confident if you’re doing it right. And because of that doubt, potentially you may get unwanted injuries, don’t get the results you want, you lose confidence, momentum, motivation and eventually… you quit. This is where most people drop out of the gym... And give up on their fitness goals. If any of this sounds like you, I totally understand. Because I’ve been through it myself when I first started and all the way to where I am now. I understand the doubt, frustration and challenges at every step. This is why I’ve designed a solution that coaches and supports you in your fitness goals so you can have the confidence to get the results you want at the gym. If you are a beginner who is just starting out your fitness journey, this is for you. If you’ve been exercising for 1-2 years and ready for a breakthrough to achieve your dream physique, this is for you! All exercise and nutrition content are crafted in a responsive PWA and produced in detail so you can be confident you’re training right and training safe. Unless you're already an expert, training on your own is doubtful and frustrating. Searching for training and workout sheets online can be tiring as well. And you know achieving your fitness goal takes motivation, momentum and accountability. Now you get can Jordan as your pocket personal trainer without spending the thousands to work 1-on-1 with him. 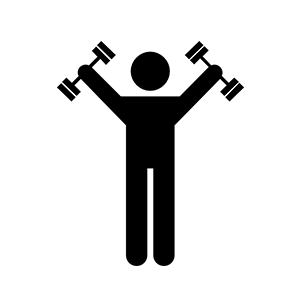 Exercise techniques can be hard to learn and tricky to perform. Poor execution leads to poor results. Worse, you put yourself at risk of injuries forcing you to stop and rest. You lose time, effort and momentum. The good news is all exercises in Iron Mastery is made into easy to follow, step by step video guides. 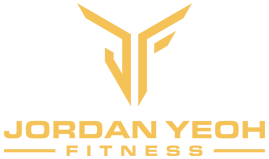 Every guide and training program is tested and proven by Jordan to effectively burn stubborn fat and build up lean muscle mass. 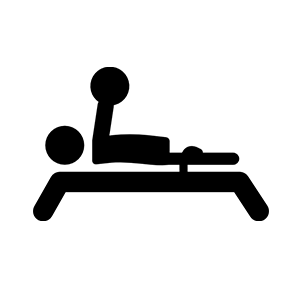 The exercise techniques also come with alternatives so you can train confidently in virtually any gym with at least a bench and a full range of free weights. 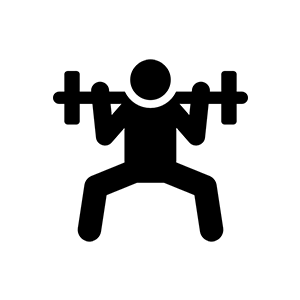 Over 100+ videos, you get expert coaching to master fitness and weight training in one training web app. Every guide and training program is tested and proven by Jordan to effectively build up lean muscle mass and burn stubborn fat. The exercises also come with alternatives so you can train confidently in virtually any gym with at least a bench and a full range of free weights. Over 100+ training tutorials, you get expert coaching to master fitness and weight training all in one training web app. It doesn't matter if you push yourself everyday and you're the most hardworking person at the gym. It won't last. To get a solid physique, you need a solid plan. Training without proper planning drains you instead of building you up. And if you're planning to design your own training based off the Internet, it's not going to be easy. 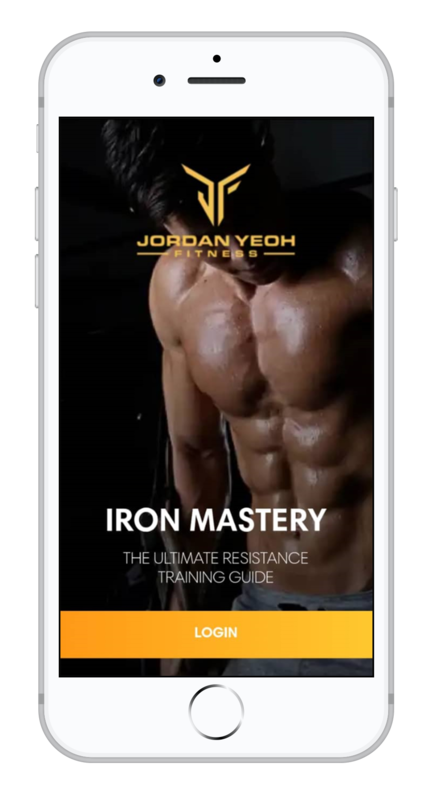 Iron Mastery is where you get Jordan's exact blueprint for ultra results specializing Lean Muscle Building and Fat Loss. To get a solid physique, you need a solid plan. Training without proper planning drains you instead of building you up. Iron Mastery is where you get Jordan's exact blueprint for ultra results specializing in Lean Muscle Building & Fat loss. Eliminate the guesswork by knowing exactly what FOOD, RECIPES and SUPPLEMENTS you need, what TRAINING to do for your level and beyond. You get to know the how, what and when about fitness, nutrition and lifestyle. New contents are released every week. This saves you time, energy and money from researching online and trying without really knowing if it’s going to work for you. More than 100+ recipes and unique contents updated. New contents are released every week! 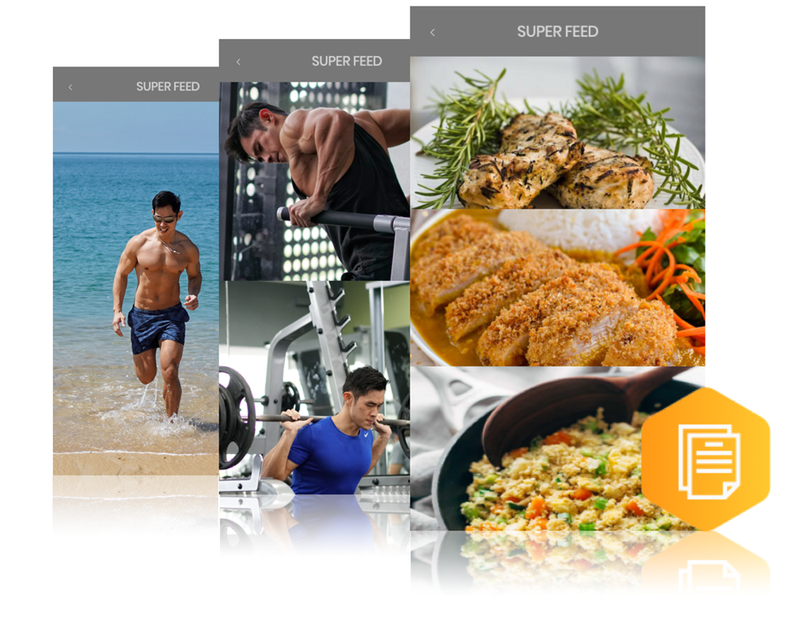 Eliminate the guesswork by knowing exactly what food recipes and supplements you need, and what is the latest training method for your level and beyond. You get to know the how, what and when about training, nutrition and hacks. Being part of the Iron Mastery family, you’ll have access to a group of like minded people who have the same goal and mindset as you. You’ll be surrounded by people and a community that understands, challenges and motivates you to keep growing forward. Got questions? Jordan and his team will get on a weekly live call with the community to answer your questions and clear your doubts. You get confident with your routines and nutrition so you progress quicker, confidently and consistently. Each Iron Mastery tutorial and training session is designed to be straight forward and easy to follow with high definition detailed instructions. You’ll know exactly what you need to do at every workout. 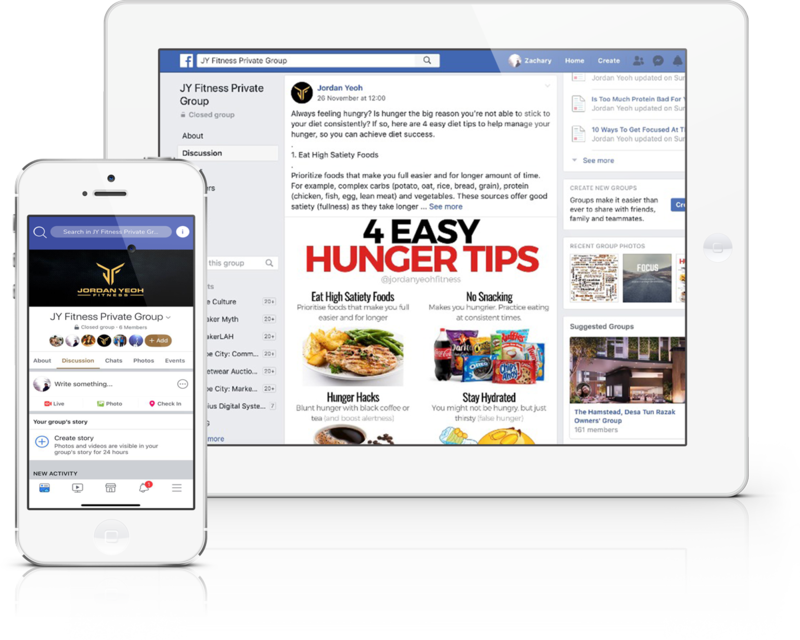 You get to know the how, what and when about fitness, nutrition, recipes and hacks. New contents are released every week. Being part of the Iron Mastery family, you’ll have access to a group of like minded people who have the same goal and mindset as you. You’ll be surrounded by people and a community that understands, challenges and motivates you to keep growing forward. Got questions? Jordan and his team will get on a weekly live support with the community to answer your questions and clear your doubts. You get confident with your routines and nutrition so you progress quicker, confidently and consistently. Each Iron Mastery training session is designed to be straight forward and easy to follow with detailed instructions. You’ll know exactly what you need to do at every workout. Each Iron Mastery tutorial and training session are designed to be straight forward and easy to follow with high definition detailed instructions. You’ll know exactly what you need to do at every workout. WHAT RESULTS ARE POSSIBLE FOR YOU? BORN TO BE FIT EITHER"
A decade ago, I was this skinny scrawny kid who loves to drink, dance and party A LOT. As a result, my health, body and mind went downhill. This affected my confidence, self esteem and I was depressed, filled with negativity and doubt. Things changed dramatically when I started working out 5 times a week. A few years later, I saw massive improvements in my health and outlook and I conquered the negativity in many areas of my life. Today I’m a certified personal trainer, drug free fitness model and a full time dad. My fitness videos, advice and knowledge have benefited over 1 million subscribers on YouTube (with over 81+ million views) and over 4 million followers on Facebook. I’ve been skinny, got fat, smashed my limits multiple times and today I am at the fitness level I desire. There were many times I got stuck in a plateau and breaking out of it was super difficult. It took me countless hours, weeks and months of reading, researching online and trying out different methods, food and supplements to hit my fitness goals. I believe we are meant to grow and progress and I’m super excited to have people meet their fitness goals because my live changed dramatically through fitness and I know you are looking for a transformational change as well. POST-LUNAR NEW YEAR COMEBACK PROMO! 75% off! You save $517 usd/2200 myr! Important: Please use one email address for purchase and subscription. Upon payment, an email is sent to you to confirm your purchase with detailed instructions on activating your iron membership through our web application and invitation to the private Facebook group. If you do not receive any confirmation, please check your spam or junk mail folder before contacting support. 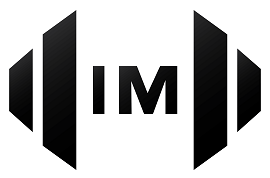 To receive the best out of Iron Mastery, please whitelist and filter my emails to a special folder so you don’t miss any valuable fitness information sent to you. Thank You! Follow me for the workouts. If you do not feel that this program will 100% change your fitness life, email me for cancellation or a refund. You'll get it back no questions asked, and we can still be friends. You have absolutely no risk. 75% off. You save 876 usd / 3500 myr! Important: Please use one email address for subscription. Upon sign up, an email is sent to you to confirm your purchase with detailed instructions on activating your iron membership through our web application and invitation to the private Facebook group. If you do not receive any confirmation, please check your spam or junk mail folder before contacting support. IRON MASTERY IS RISK FREE! 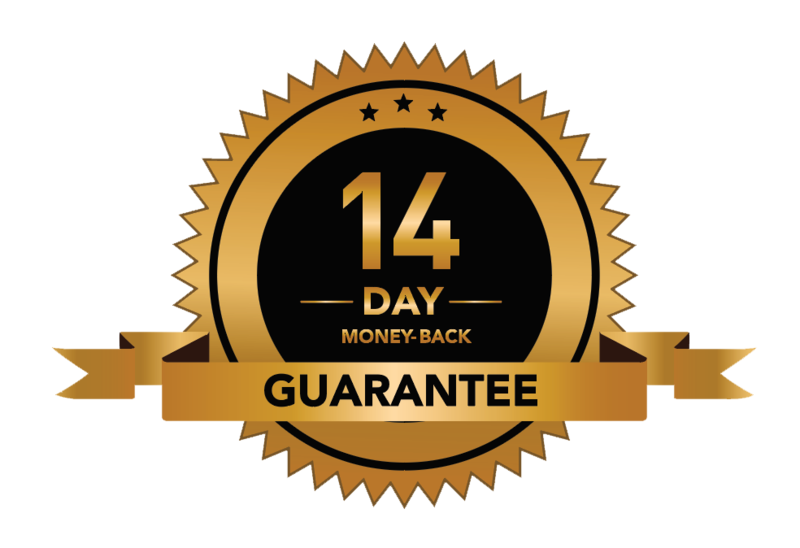 If you do not feel that this program will 100% change your fitness life, email me for cancellation and refund. † Results vary. Exercise and proper diet are necessary to achieve and maintain weight loss and muscle definition.